Groupe Doo Wop US originaire d'Austin (Texas), les Slades ont enregistré à la fin des années cinquante pour Liberty et Domino Records. Le groupe comprenait John Goeke, Don Burch, Tommy Kaspar et Jimmy Davis. 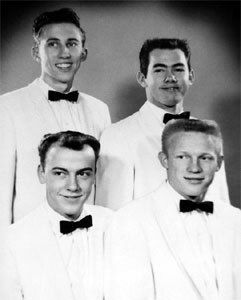 The Slades -- Don Burch, Bobby Doyle, John Goeke, and Tommy Kasper -- formed at Lamar High School in Austin TX, later adding Jimmy Davis. Signing with the fledging Domino Records after graduation, they put college on hold, much to their parents' chagrin. In 1957, Burch's composition "You Mean Everything to Me" started making noise. Unable to distribute nationally, Domino leased it to Dot Records for $600. 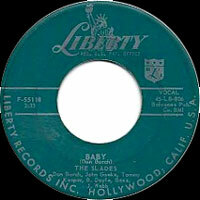 On both Domino and Liberty Records they were the Spades, but the name offended people, so Liberty pressed more copies and renamed them the Slades without informing anybody. The fellows originally picked Spades after the playing card suit; it had nothing to do with race or trying to be black. 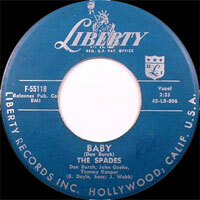 The Spades, a white group, had a Black/Chicano sound. "You Cheated" became their biggest hit. Its flip "The Waddle, " a dance song, was the original plug side. They recorded at the University of Texas' Radio House, and later at Austin Recording. Bobby Doyle, a blind child prodigy, played standup bass on the sessions. Domino started with 11 people who pooled resources for financing. Jocks thought little of Domino's pick, but loved "You Cheated" and played the aching ballad. Once again, bigger companies clamored for a lease deal, but Domino refused, upset at the small amount received before, and furious that the sales plummeted under Liberty's imprint. Domino's refusal prompted a distributor to provide funds for George Motola, head of Tender Records, to cut a cover version. Motola assembled a group of Los Angeles R&B singers and cloned the recording. Now you had two choices: the Slades, and the Shields. Tender leased the Shields' cover to Dot Records and it smoked the original -- zooming to number twelve, while the Slades' stalled at number 42 in 1958. 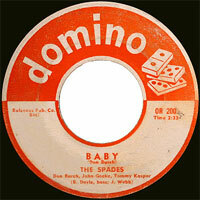 The cover benefitted Domino, who also published the song. But the competition destroyed the Texas natives' shot at fame. "You Gambled" followed, it made Billboard's Hot Pics then died. In 1959, they released "Summertime" to deaf ears. They had no releases in 1960. "Just You" dropped in 1961, and later that year "Take My Heart" came and went unnoticed. A final release, "I Cheated" answered "You Cheated." Joyce Harris changed the lyrics and sang lead. Caucasian also, Harris developed her soulful singing style by hanging around blues musicians in her hometown, New Orleans. When the answer song failed, the guys called it a date. Only Davis had his heart in music, and their parents wanted them to quit. Besides, they hated touring: in Arkansas, they practically got booed off the stage, and were only appreciated in West Texas. Kasper operates a business and has a computer degree. Burch is a family man and a grandfather; his son is a doctor. Goeke teaches at a Lutheran college. Davis drifts but stays around music. Harris lives in Bogalusa, LA. The company and Burch profited from "Mr. Blue, " a number one hit, because Dolton Records made the Fleetwoods' remake of "You Mean Everything to Me" the B-side. The Domino Records Story, available on Ace Records, includes almost every Slades' recording, and some by other Domino artists. According to Lora Jane Richardson, an original owner "Ace didn't want the country songs the group cut." Domino forged on releasing records on Joyce Harris, the Daylighters, and others. You won't find "You Cheated" on many compilation albums. According to Richardson "the little checks (one arrived for $12.64) aren't worth all the paperwork you have to do." 12/1957 SP LIBERTY F-55118 (US) .